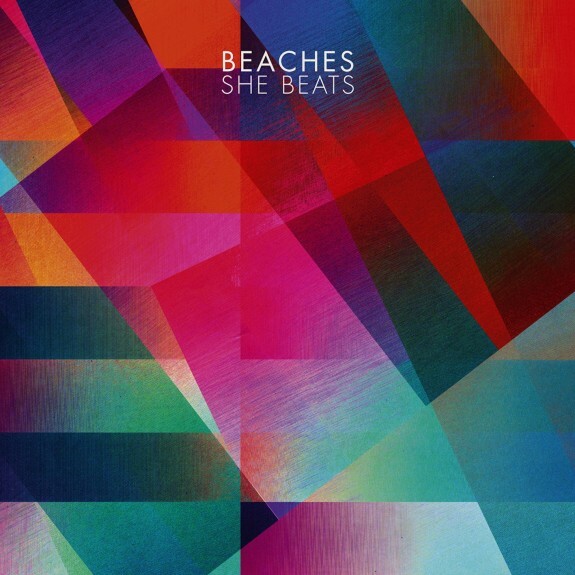 Beaches came to my attention all the way back in 2010, when they released an absolutely scorching 12" on Mexican Summer, four tracks of burnt out, noise-psych rock sprawl, with a wondrous shoegaze vocals and ascetic layered on top. Basically, pure heaven for me. Then, just as I was enjoying the blistering bliss that this band was creating, they disappeared and haven't been heard from since. Until now, with the news of their second album She Beats coming out so soon in May. And as "Distance" indicates, the girls of Beaches have not lost a single step in their music. In fact, the time off seems to have allowed to truly hone in what they are trying to create with the band. Over the tracks five minutes, it continues to swell like a slow burning fire with more and more being added to it. The stretched guitar plucking that opens the track gives way to a stunningly jagged and spiraling guitar riff that are distorted in just a way to be more enveloping than jarring. The vocals come in, much stronger then they did previously, giving the track an even more gauzy feel than before, and cementing how the band has managed to bond together the duality of their sound. The subtly electronic swirls that play through out it, the way "Distance" blossoms even further after the middle section; it all melds together seamlessly. Beaches have crafted an incredibly dense piece of indie rock glory that lays at the perfect intersection of psych, drone, and shoegaze, and it is buzzed out glory.